When you think your gutters need to be cleaned professionally because they have begun working poorly, turn to our company for help. Our company is experienced, savvy and knowledgeable in the area of gutter cleaning services. We have been around for years and we can assure you that our professional gardeners will efficiently clean your entire gutter system in detail. You can rely on our professional service to leave your rainwater guarding system clean and working. 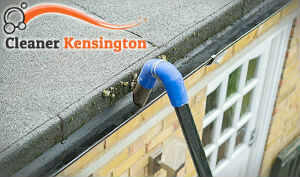 Our gutter cleaning is unrivalled in Kensington and the area. 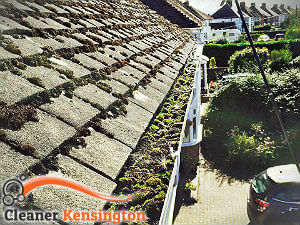 Allow our trained professional gardeners to clean your roof and your gutter system. Our experts are skilled and savvy and will efficiently and thoroughly clean the exterior of your home. They will remove the leaves and debris from your roof which would eventually fall into your gutters, they will clean the gutters and the downpipes as well. Unclogging them and making a way for the rainwater to flow through, away from your home. A gutter system’s purpose is to protect your house from the power and the damages of the rainwater. Book our professional gutter cleaning service and be sure that your gutters are working safely. If your gutters get clogged and stop working, there can be serious consequences and damages to your house, that can cost you a lot of money to fix. So, play it safe and prepare your home and your gutter system for rainy seasons. Prevention is key. By keeping your gutters regularly checked and cleaned, you can be sure that they will never be the ones causing problems to your house. We are here in Kensington, W8, call us soon.